Mr. Smith, Annette Riggs and myself discussed our mutual concerns about Ormita and Daniel Evans in late 2013. As a result of those discussions, Mr. Smith elected to spearhead the investigation and writing of The Ormita Report (TOR). IRTA agreed to take the facilitator role in securing financial donations to Mr. Smith, which Mr. Smith required in order to do further investigation into Ormita and the writing of TOR. When TOR was completed, IRTA also assisted Mr. Smith with the dissemination of TOR to the barter industry at large. 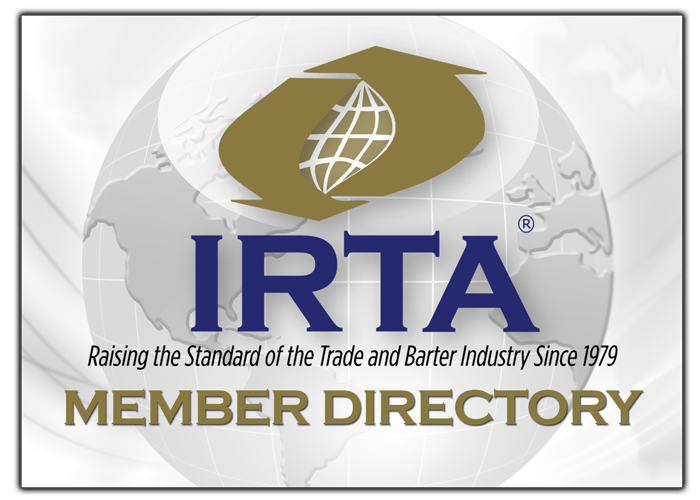 IRTA set-up a UC barter account for Mr. Smith in the Spring of 2014 and Mr. Smith was paid 4,000 trade dollars by IRTA to disseminate TOR via email to barter industry members. After the release of the “Ormita Fraud Supporters Meter,” above, (which Mr. Smith has since conveniently removed from his blog site), Mr. Smith continued to push me to hire him as a consultant. On July 22, 2014 Mr. Smith emailed IRTA asking to transfer his 4,000 UC trade balance to Bartercard New Zealand. IRTA & UC complied with Mr. Smith’s request and his entire UC balance of 4,000 was transferred to Bartercard New Zealand on July 30, 2014, so that Mr. Smith could buy printing and other services through Bartercard. Mr. Smith thanked IRTA in writing for making the UC to Bartercard trade dollar transfer. The facts, in Mr. Smith’s own written words are above. IRTA has never participated in a disinformation campaign against Mr. Smith – we have only stated the facts. Annette Riggs and I haven’t changed in two years, we still possess the same skill sets, professionalism and passion for the industry today, that Mr. Smith so ardently lauded about in April of 2014, (i.e., before he realized that IRTA wasn’t going to hire him as a consultant). Use your free-will, reason and common sense to draw your own conclusions from the facts above.